Big News! 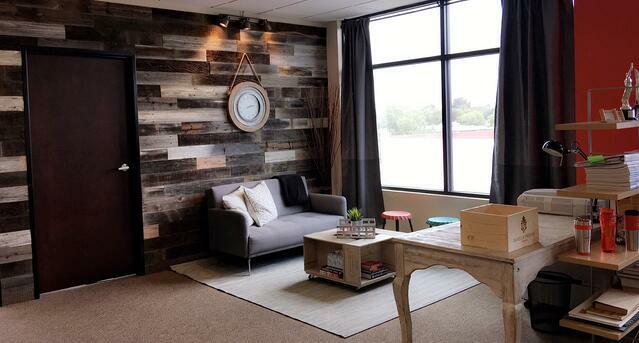 Kulture Konnect Office Remodel Is Complete! As many of you already know, this year we are celebrating our 10 years of business. We have come a long way and we have had many offices, including our very first one out of the spare bedroom of our house! 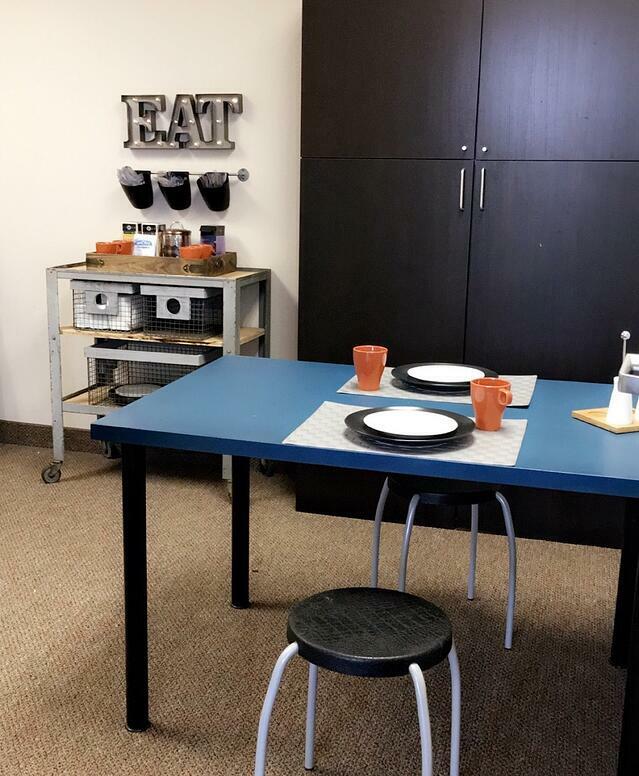 We have been in our Norco office for about 6 years and it was time to make it ours. Six years working in a colorless, empty, design-lacking office was plenty too long! So, we took advantage of our year-long celebration of our 10-year Anniversay and decided to do a complete facelift! Along with the office remodel we have some other big plans to help celebrate our 10 years. So be sure to stay tuned. A big shout out to NPD Events who did all of the shopping and decorating. Nayra and Carlos are amazing. 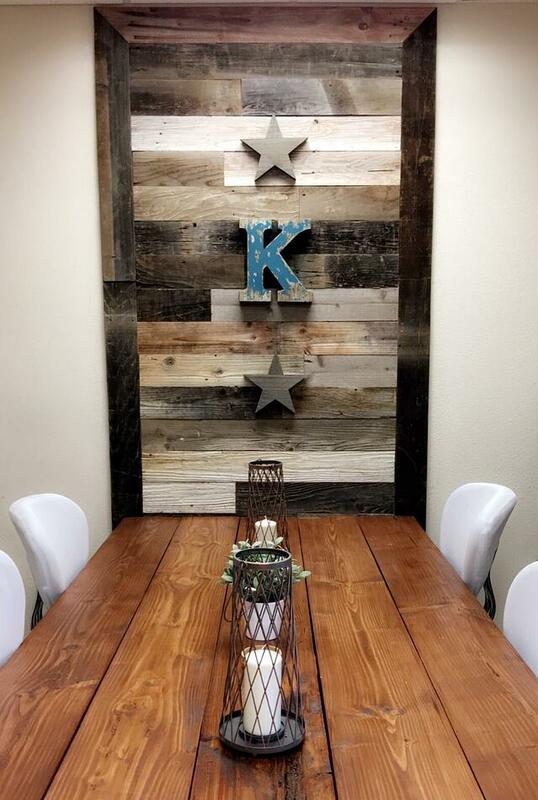 A huge shout out to Kulture Konnect's very own Jorge Pacheco for making the conference table, the bar table and the working desk AND installing the awe-inspiring wood wall. Without further ado, I present to you Kulture Konnect's 2016 office remodel. Our lounge to relax after those big campaign launches! We asked Marisa, our graphic designer, what her favorite feature was and this is what she said! 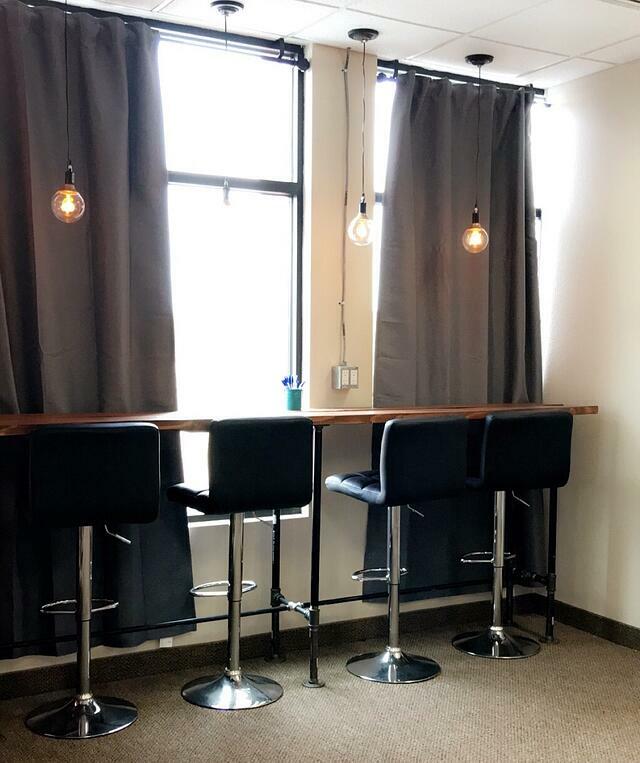 "My favorite feature in the new office has to be the lounge and my desk. The lounge because it is nice to know that when you need a quick break you can go relax on the couch to get a breather." 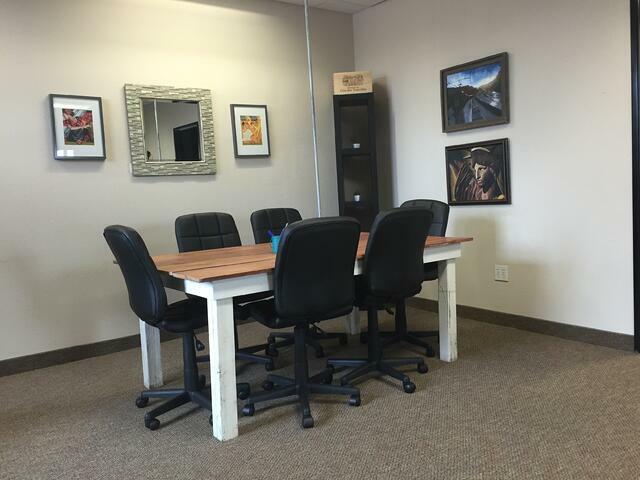 "The conference room and the lounge. 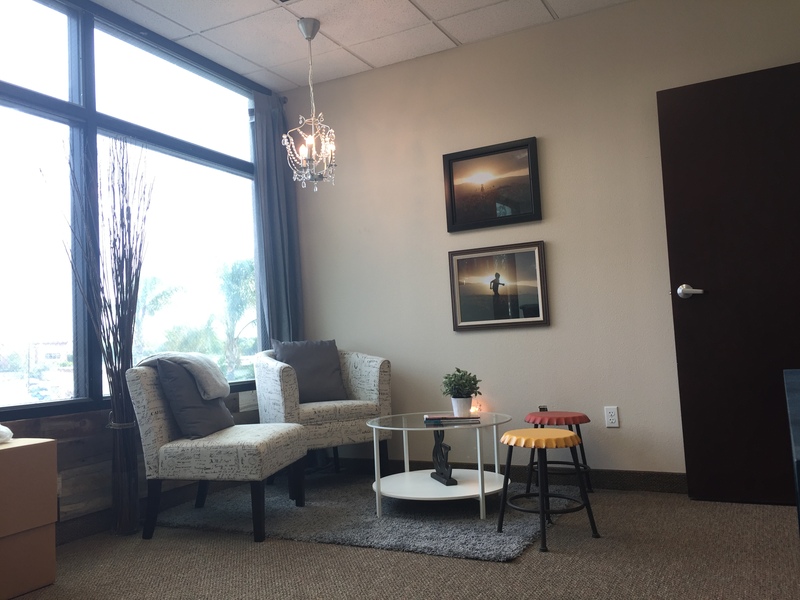 I love to finally have a formal place to have our meetings and an alternate place that can make things a little bit more relaxing." We have a mini snack bar coming soon along with the essentials... tea and coffee! Here are some of our reactions at the big unveil! Marisa: When I first started to see the remodel I didn’t quite know were the direction was going. But once I walked in the weekend after it was finished I was shocked at how good it looked. It all came together real nice. Jorge: While working on it, it seemed and felt that we never were going to be done with it… Once everything fell in place, it was a relief and a: WOW, we did it… and it looks awesome! The Sparkletts Water Guy: Hey looking good! The guy from craigslist who picked up some old filing cabinets: Can I get your card. This looks like a cool place to work! You want to know another favorite feature of Marisa's? Yep! you guessed it! 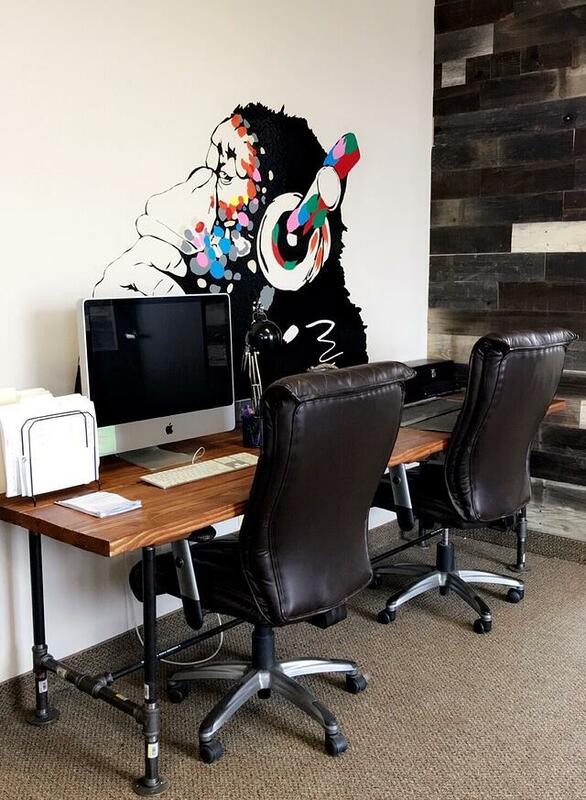 "My desk because of the wall decal its so creative and cool to look at. " And it is time for my quote! 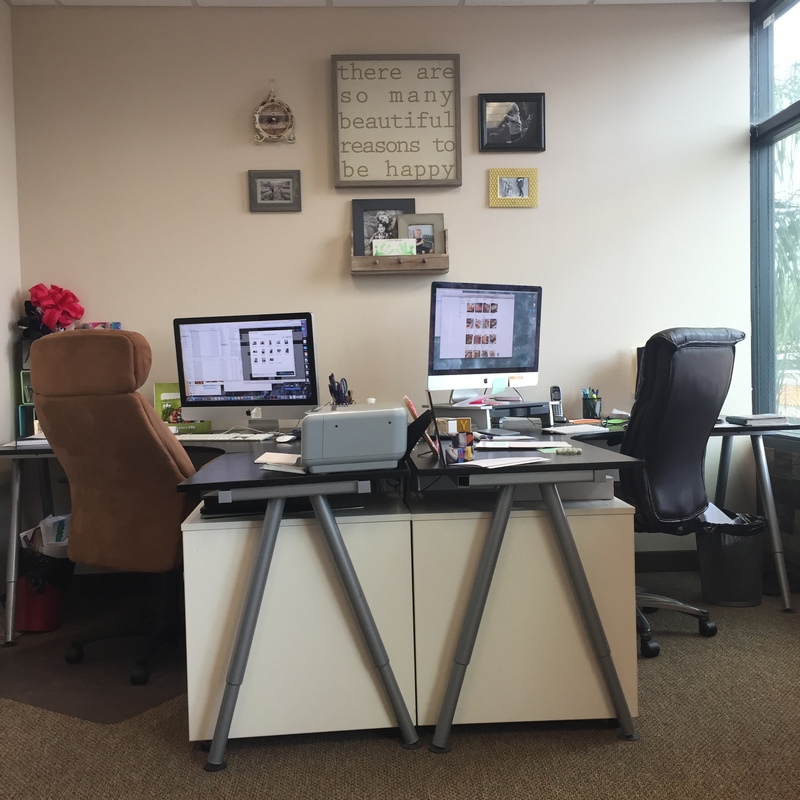 "My office is my favorite part of the remodel. I love coming in to work everyday and getting to see pictures of my boys while I work away. And when the going gets tough I can always look up and remember the reason I do it all. Like the wall says... so many beautiful reasons to be happy!" So, now you have seen it all! Thanks for being a part of our excitement. Feel free to stop by anytime! We'd love to show you around. We are planning a big 10-year anniversary party for the fall. Hope you can make it!